It was a miserably cold winter day in Garden City, Michigan when we discovered the Crown of India restaurant. It was no longer snowing but no doubt that was only a temporary situation. The skies were gray, the air was damp, and two-foot high drifts of snow were piled to the sides of the roads. My partner and I were both a little cranky. Not just because of the weather. It wasn’t easy being vegan in strange city. Our hotel in Michigan. My car was parked outside our hotel room door. The snow served as our refrigeration system. Trying to save a little money over our long trip, we had opted for a room without a refrigerator or microwave. 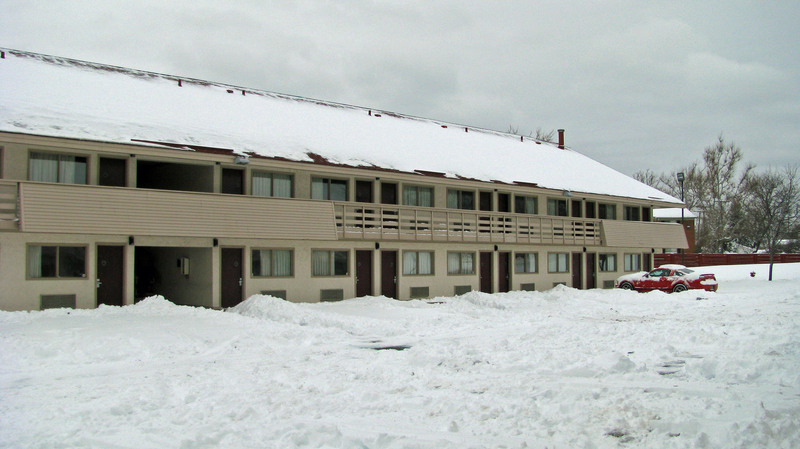 We didn’t miss having a refrigerator – we stored our beer and perishables right outside our hotel room door, in the snow. But an occasional hot or even warm meal in our hotel room would have been nice – especially during a Michigan winter! Michigan has a number of vegan-friendly restaurants, but we were burned out on restaurant food. It was too salty, too greasy, too processed, too – expensive. Restaurants were too loud, too crowded. 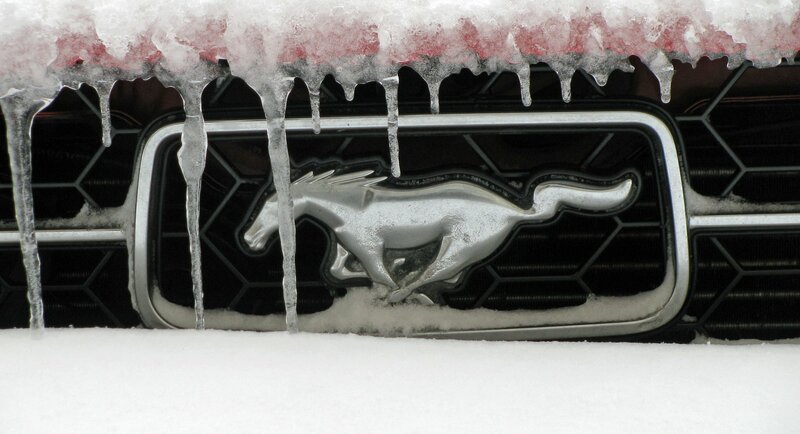 Too hot, too stuffy; too cold, too drafty. Too dirty or too antiseptically clean. I tend to be sensitive to preservatives, MSG, and red food coloring and got violently ill after eating at one all-vegetarian Indian restaurant. At another Indian restaurant, we sat perplexed for hours as we were completely ignored by restaurant staff – no one ever refilled our water, no one ever brought us our bill. We only had food because we helped ourselves to the buffet. Much later, we were told that the particular Hindus that ran that restaurant had a strong aversion to Sikhs. We were both longing for a home cooked meal but had few friends in the area – certainly no vegan friends willing to cook for us! And Amrik – who was not yet vegan – was going through severe chai withdrawal. The Crown of India did not look at all auspicious from outside. It was one of those little hole-in-the-wall places, sandwiched in between a cheesy jewelry store and a cheap video/DVD rental place. There was almost no parking. That turned out not to be a problem because there were almost no cars. We slipped and skidded on the ice up to the door, mere minutes (okay, seconds) before the lunch buffet closed, really not expecting much. And then we went inside …. Inside it was warm and elegant. It was bigger than it looked from outside, though still very small – only a dozen or so tables. But the buffet was amazing! The food was already being cleared away but when the kind waiter saw the pitiful looks on our frozen faces he began putting the trays of food back. There were a variety of vegetarian and vegan main dishes, as well as a selection of appetizers, salad-type dishes, and dessert. The food, as Amrik said with a huge smile on his face, was “home-style” Punjabi food – very similar to what his own mother made, very similar to what we cooked at home. Simple lentil dishes, authentic saag cooked with turnip greens. Everything very fresh, nothing too oily or salty. And there was unlimited chai! We went back frequently – several times a week. Sometimes for dinner but usually for the lunch buffet because that was easier on our budget – only $6.99, $4.99 on Tuesdays! As long as we had one good meal a day we were happy and could withstand each other and the weather! The Punjabi couple who owned the restaurant, Rachhpal Singh and his wife, adopted Amrik almost immediately. They were thrilled to meet a nice young Sikh man from Punjab, about the age of their own son. Once they learned the white Irish American with him didn’t eat meat and cooked Indian food herself, they adopted me as well. Rachhpal even took me back to the kitchen to see their Tandoori oven and to watch our meals being prepared. His wife made special pakoras and other appetizers for us when she saw us come in – because they were fresher and hotter than the ones on the buffet. As we dined, Rachhpal stood by “our” table – yes, we came there so often they reserved a table just for us – and regaled us with stories about his adventures in India. 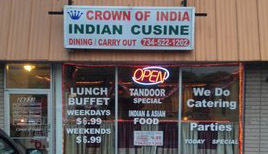 Our last night in Michigan, we headed to dinner at the Crown of India, forgetting it was closed on Mondays. We had to leave early Tuesday morning, so we never had the chance to tell that wonderful couple good-bye. I’ve always wondered if they looked out for us, waited for us to come back, maybe kept the buffet open longer in case we should stumble in late once again someday. Sadly, the Crown of India closed shortly afterwards, so we never had the chance to go back. One of the dishes at the Crown of India buffet that I absolutely loved was a cold chickpea salad. I’d had plenty of warm chickpea salads at Indian buffets before, but never a cold one! I was able to recreate this with great success at home. Now, it’s one of the items Amrik requests most for his lunchbox. And every time I make it I’m reminded of that snowy winter day in Michigan when Amrik and I finally made some friends that gave us a home-cooked meal! Mix all ingredients together in bowl and chill for several hours before serving. It’s that simple. Chaat Masala is a spice blend you can find at Indian groceries. Use either the Chaat Masala OR the cumin and red chili powder – not all three! If you are using the cumin and red chili powder, make sure you are using red chili powder and not a chili seasoning blend. If you don’t have these spices on hand, it’s also good with just the salt and fresh cilantro! What a sad (and heartwarming) story. I hate to see when these lovely little restaurants go out of business. Michigan is my home state; I grew up about 20 miles from Garden City. But I have not been back in years and years. Oh, dear Catherine, I meant to mention: I don’t know if you have used the Goya brand canned chickpeas. But I think they’re the best! 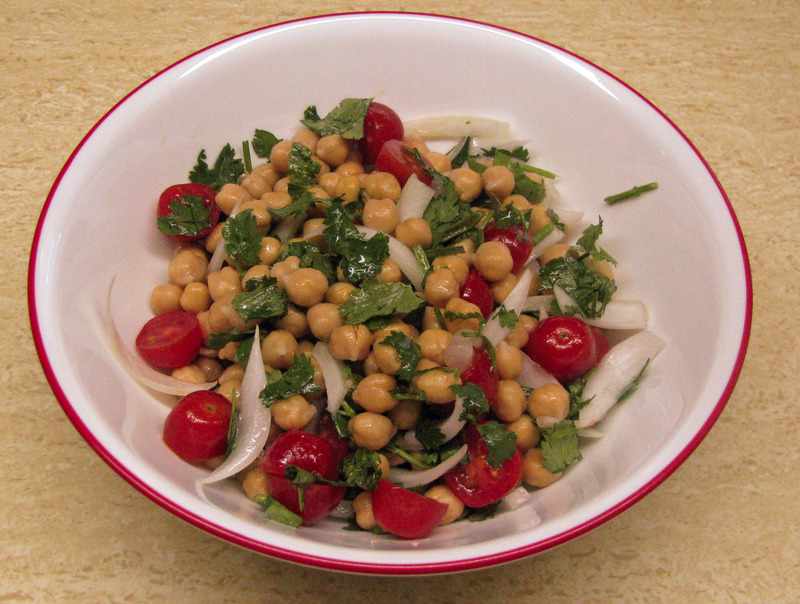 I have made all kinds of chickpea salads with them, they’re so nice and soft! Thanks for the tip, Vickie! I will definitely try to the Goya brand! It is sad; it’s getting harder and harder for these little restaurants to compete. But they are so much better than the big chains! I loved Michigan; it’s a very beautiful place.